When you start to plan your move we will be delighted to provide a free no obligation marketing and valuation appraisal of your home. Our highly trained valuers will then leave you with full written details including a quotation showing exactly how much you will pay. This will usually be a single all inclusive fixed fee. From the moment you instruct us, we handle every thing necessary to get your house on the market and in front of the eyes of viewers. With over 120 years collectively of property experience, we use our knowledge and experiences to ensure that within the service we deliver, you are informed at every point of the journey until the day you need to hand over the keys and close the door on a sale you are happy with. Are You Thinking Of Selling Your Home In Wigan? We understand that selling your house can be one of the most daunting propositions of your life and as a result, we have put together a property sales service based on speed and efficiency. We strive to ensure that you achieve the best price possible, in the most appropriate timescales. We will take the time at the start of the process to understand the reasons behind your move, as this puts us in the best position to work out a suitable marketing plan for your property. Once we have agreed a target price with you then we will employ multi-channel marketing tactics, advertising your property both locally and on a national scale. By attracting the maximum number of buyers to your house for sale in Wigan we can help you to achieve the maximum sale value. Our team are highly skilled and talented at the negotiation of property purchases, as we understand the factors that contribute towards local property prices. As a result we are ideally placed to help you with the sale of your property. Our in house progress centre will monitor your home purchase, reducing any delay or complication as we can identify and resolve any challenges long before they arrive. Please contact a member of our skilled and experienced team for more information on how our range of property services can help you sell your home in Wigan. 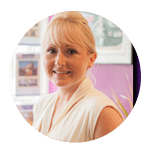 Kelly has recently achieved a National federation of property professionals (NFoPP) QCF Level 3 Technical award in the sale of residential property and is now as a member of the National Association of Estate Agents (NAEA), the UK’s foremost professional body for estate agents.